Army Harassing Innocent People in Search for Missing General? Plateau State chapter of Nigerian Union of Journalist (NUJ), has threatened to withdraw its members from the ongoing military search and rescue operation of the missing general, Muhammed Alkali. NUJ also expressed concern over what it described as arbitrary harassment and intimidation of members of public. The union made its position in a press statement signed by its chairman and secretary, Paul Jatau and Peter Amine respectively. 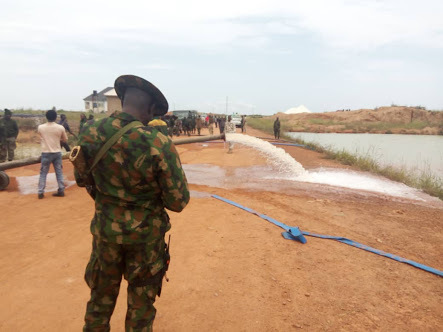 PT reports that when contacted on the matter, deputy director, army public relations, Kayode Ogunsanya, said the journalist was found in a wrong place, though he did not specifically provide the name of the place.